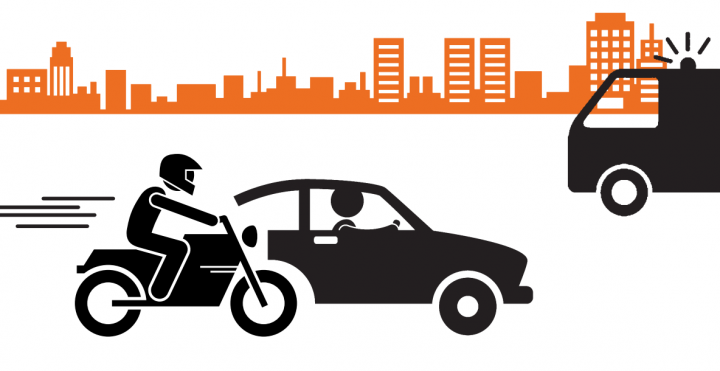 Zero tolerance on drink driving, additional hazard perception training and graduated driver licensing schemes should become the norm in order to help tackle the disproportionate risks faced by young drivers and motorcycle riders in Europe, according to a new report. Over 3800 young people (aged 18-24) are killed each year on EU roads, the biggest single cause of death for this age group. According to the report by the European Transport Safety Council (ETSC) and the UK Parliamentary Advisory Council for Transport Safety (PACTS), young people continue to face a unique combination of factors that leads to a higher rate of collisions and deaths. Biological and social changes between the ages of 15-25 affect the risk perception of young people and lead to an increase in social activity and associated pressure from peers, according to the report. A lack of experience on the road also means that young people are worse at anticipating and reacting to hazards. They are also less aware of how best to drive and ride in particular road conditions and situations. A range of impairments and distractions affect young people, linked to increased social activity, greater exposure to alcohol and drugs, the influence of peer-age passengers and the effects of fatigue. In-car distraction from mobile devices is also a problem. Young people tend to drive smaller and older vehicles. These cars often have a lower crashworthiness and lack the safety technologies featured in newer models. The use of seat belts and protective clothing is also poor amongst young people. In some EU countries up to half of young people killed are motorcycle riders, yet there is a distinct lack of specific measures and research targeting this group. Enabling and encouraging young people to use safer cars. “With thousands of young people’s lives still being tragically cut short every year in Europe, we need policymakers to commit urgently to introducing smart, cost-effective and proven measures that can bring these numbers down. The YEARS project receives financial support from the European Commission, the German Road Safety Council (DVR) and the Belgian Road Safety Institute.